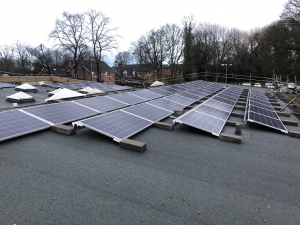 Our newest solar array at Broadoak Primary School was commissioned on 21 December 2018 and was switched on in February 2019. This brings our total installed capacity to around 220 kWp across arrays at 5 schools and 1 community building. Our December meter readings show that our solar arrays have generated 237 MWh in total, saving around 75 tonnes CO2, which is roughly in line with expectations. About half of this was generated in 2018. You may have heard that the Feed-in Tariff is closing on 31 March 2019. The Government has re-introduced pre-registration so any sites that we register before the end of March will be eligible for the remaining Feed-in Tariff funds if the sites are installed and registered within 12 months of the pre-registration application date. We’re talking to a number of schools with a view to pre-registering some sites before the end the month. Our Board would benefit from a director with legal expertise and a director with experience of community engagement and managing volunteers. Please get in touch if you are interested in joining.